Learn more about the smart grid! But your household smart meter is just a small part of Chicago’s move towards smarting the city using data analytics — from traffic patterns to air quality to tracking foodborne illnesses. And of course, making city living more energy efficient! In case you missed it on the Smart Power blog, Chicago is testing out LED streetlights in pockets all over the city! These innovative streetlights consume 50-75% less energy, and they will report back data on outages for rapid repair. So this is pretty neat — smart meters aren’t only for electricity! ComEd is now using the smart grid to track household and community water usage. Potential upsides include better response to flooding, and learning more about our water usage habits to promote better efficiency. 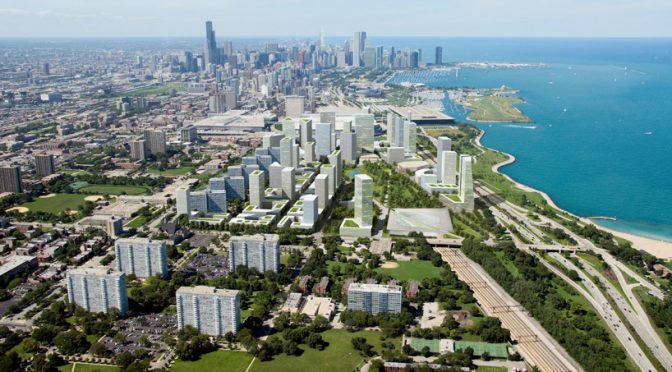 Big ideas in Bronzeville: This historic Chicago neighborhood might just be the first in the country to operate off its own microgrid, pioneering a clean-energy economy and potential springboard for other community-led innovations. While it remains to be seen what the impact will be on residents’ day to day, it’s certain to generate interesting and important lessons for other cities as they experiment with microgrid technology, too. The City of Chicago has come together with local foundations to create a cross-sector “Smart Chicago” portal for data and analysis, on issues including creating a more energy efficient city. If you are a major wonk, they have aggregated an incredible variety of open source data — let’s just say, smarter folks than us now have new, powerful tools at their disposal to solve some of our most vexing energy challenges. So stand up, be proud, and be smart, Chicago! Don’t miss out on the holiday energy savings!